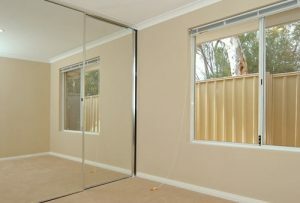 If you are looking for top quality custom made mirrors in Perth, Dialaglass have a reputation for exceeding customer expectations. While mirrors are an absolute necessity for a number of practical reasons, they can also be attractive, stylish, decorative, and a great way to add light and depth to your home without having to spend a fortune. 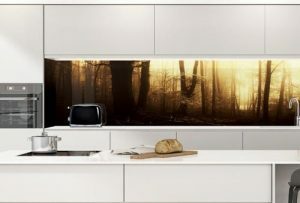 Check out our black mirror range. 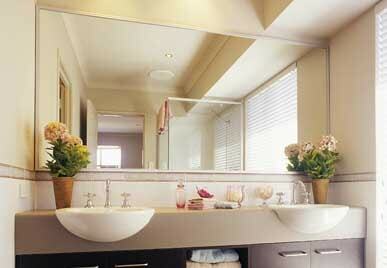 If you’re renovating or decorating your home take the opportunity to introduce strategically placed mirrors. 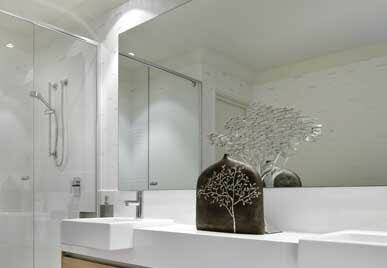 Mirrors can completely transform an entire room. Add personality by including some decorative mirrors or even covering a wall with a full-length mirror to give a feeling of open space. We have a wide range of options. Our product selection has been honed over 30 years of successful business to accommodate a broad range of tastes to ensure that there’s something for everyone. 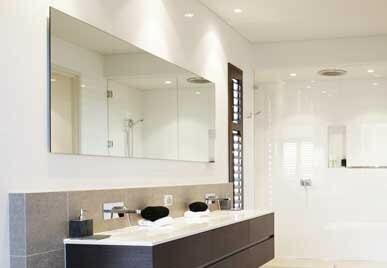 Including: framed, frameless, beveled, and polished mirrors which can custom-made according to your requirements. 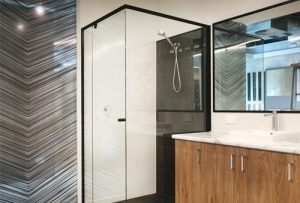 Call in to one of our showrooms, we are located in Wangara, and Homebase, Subiaco, you will find that our mirrors are made of top quality glass and installed by expert tradesmen. 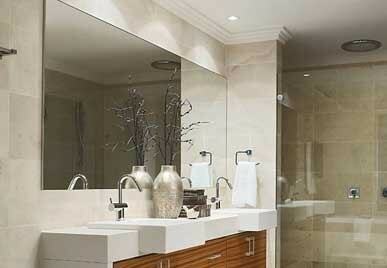 Frameless mirrors are elegant and stylish. 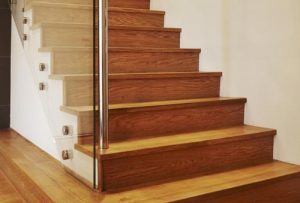 Clean, unfussy lines give a minimalist and modern look. 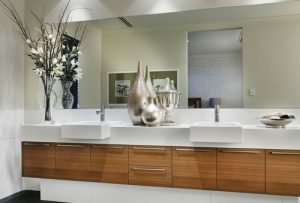 Mirrors that have no frame have the versatility to go into any room regardless of interior styling. Our framed mirrors are neat and modern. This offers you versatility and the ability to use practically anywhere. We believe that mirrors are beautiful products in their own right, and can feature on their own without the need for fussy frames. A beveled mirror can look stunning when hung in the right place. 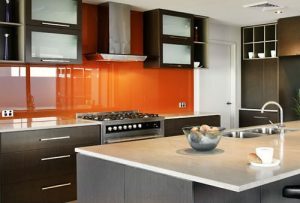 We are passionate about glass and we are confident that our enthusiasm for our craft shines through in products such as our beveled mirrors. 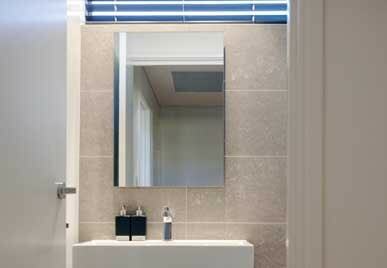 Our polished mirrors have what you could describe as a very small bevel to the edge that looks simple and classy. These are extremely popular. Being able to see your reflection fully from head to toe is essential for a lot of people. 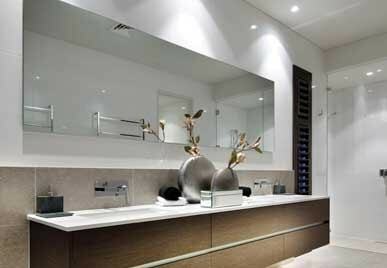 Our mirrors can be used on most surfaces, you can discuss the location of the mirror with our helpful staff if there is something out of the ordinary with regards to hanging or fixed location. 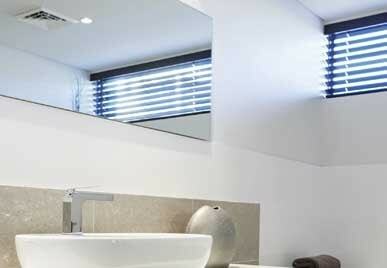 Our range of hanging mirrors are elegant with some designed to give a ‘floating mirror’ look. Regardless of what design, size, and type of mirror you choose, it is undeniably going to make your room or bathroom appear brighter and more spacious. 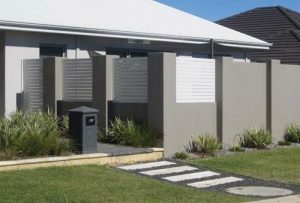 The simplicity of our designs will ensure that it hangs beautifully into whatever space you have regardless of styling. We love Feng Shui principles. You probably know that mirrors are a representation of water and, as such, they have the ability to bring good energy to a living space. 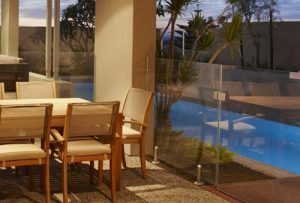 Regardless of whether you need a mirror for practical everyday reasons, or for adding more style to your home, we can provide a custom made mirror from our market-leading facility right here in Perth. 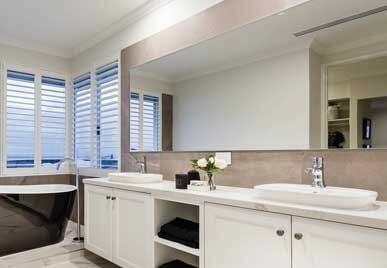 Our meticulous attention to detail is what separates us in the Perth mirror marketplace.